Latest Version! can adjust the max. % brightness! 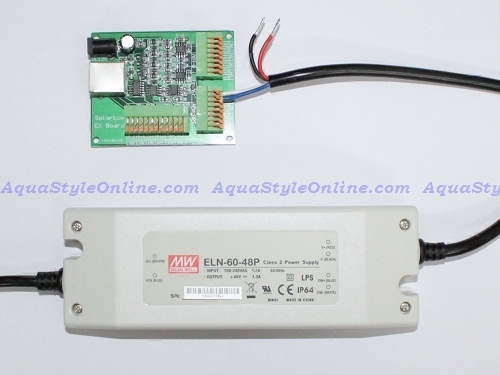 Compatible with PWM and 0-10V dimmable driver!! 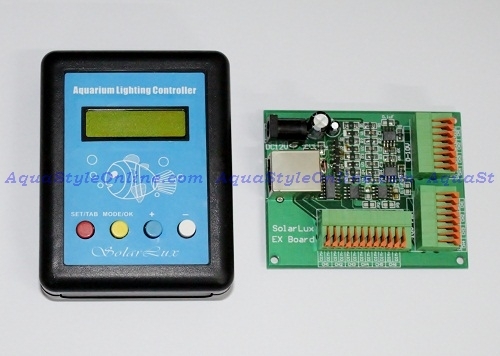 Solarlux LED controller kit includes two parts: controller and a EX board. 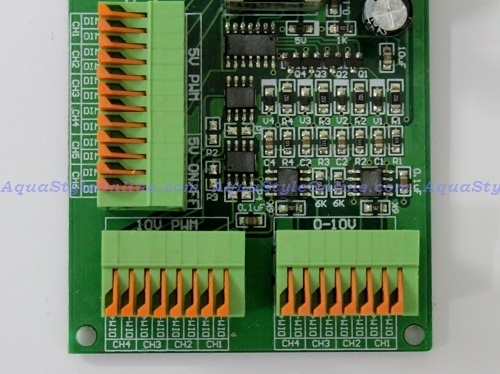 The controller has 6 channels that output signals to driving boards. 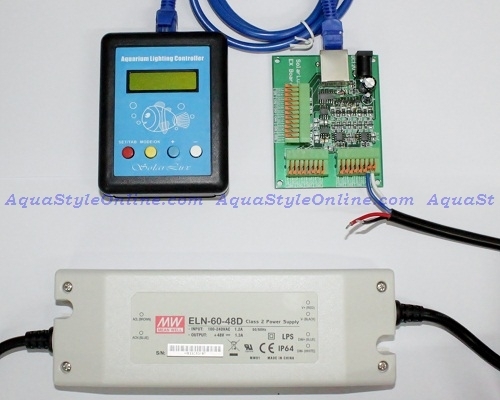 Channel 1 to 4 output PWM signals (dimmable). Channel 5 and 6 output ON/OFF signals (non-dimmable). 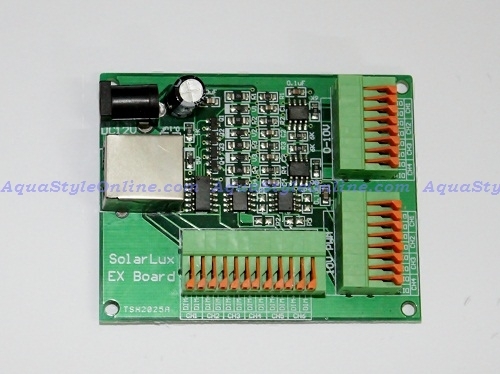 The EX board receives the signals from controller and then operate LEDs. The controller controls each channel with start and end times, that can simulate the sunrise, sunset and moonlight effect. The EX Board is compatible with 10V PWM, 5V PWM and 0-10V analogue dimmable drivers. At the start time, the LEDs ramp up from 1%, 2%, 3%.....to 100% within half an hour. At the end time, the LEDs ramp down from 100%, 99%.....to 0% within half an hour. For example, if you set the start time at 9am, the LED is ON at 9am, it reaches 100%(or the max.% you set) brightness at 9:30am. If you set the end time at 6pm, the LED start to ramp down at 5:30pm, it reaches 0%* brightness at 6pm. *different dimming ability for different drivers. 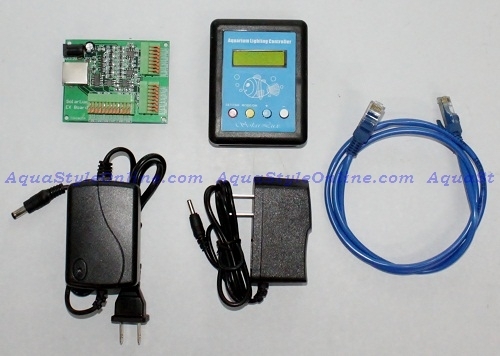 Please refer to the datasheet of driver.